I would love to hear your guys' ideas for themes for this Box. For Multi-tiered Themed boxes I was thinking like, a Future theme like Big Hero 6 and Wall E, and Animal theme like Zootopia, Lion King, and Aristocats. For Single themed boxes, because I have a feeling we're getting more, Toy Story for the upcoming summer Movie. I liked the original ones. The stitch is on the right track to being better. Hoping next has to do with some of the obscure Disney or Disney park related. The maps and detail was my favorite part and now their gone. I agree that the Stitch box is on the right track. Not to say I didnt like Hook and Ariel from the previous boxes, but a regular 4 inch pop is more appealing than the 6 inch movie moment. Other ideas for boxes: I'm sure they will do another Dumbo since the movie is being remade, also with Toy Story 4 coming out that will be another must, also with live action remakes for Mulan, Aladdin, The Lion King those are possibilities... also Frozen 2 is in 2019 so I'm sure a bunch of new Frozen pops and kids singing new catchy songs. Stitch box was not popular here in arizona, all the stores have TONS. Ariel and Hook sold faster/better. I'm really curious what they'll do next, I believe on one of the periscopes they said all the boxes would have a movie theme, right? If they do movie boxes correlating to upcoming releases, I could see Aladdin, Dumbo, and Toy Story being good options. 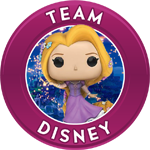 I'd love to see more Tangled pops, the rest of the Aristocats, Oliver and Company, and Zootopia. But those are more of a stretch. I would 100% be down for more Villains as well! I want to see more Nightmare Before Christmas boxes. I know pop in a box did those two Dalamations but outside of that I don't remember seeing alot. Even at the parks its hard to find Dalmatian stuff I would like to see more. Also the great mouse detective because that is almost impossible to find. I'm happy with pretty much anything disney.....only way to make the box better is to keep adding a pin and add a shirt!!!!! 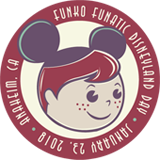 As for themes.....Mary Poppins, The Black Cauldron, The Sword in the Stone (oh to have a Merlin pop) Donald Duck, and my dream box would be Alice in Wonderland. A Lion King theme would be one that I'd definitely buy. I grew up with those movies! The next Disney box is Aladdin theme. I definitely would love another villains theme boxes. i would like ones themed after the lands. like tomorrowland or frontierland etc.... unless they have made these already and i havent been paying attention. ocwankenobi wrote: i would like ones themed after the lands. like tomorrowland or frontierland etc.... unless they have made these already and i havent been paying attention. I still really want all the bears from Country Bear Jamboree.